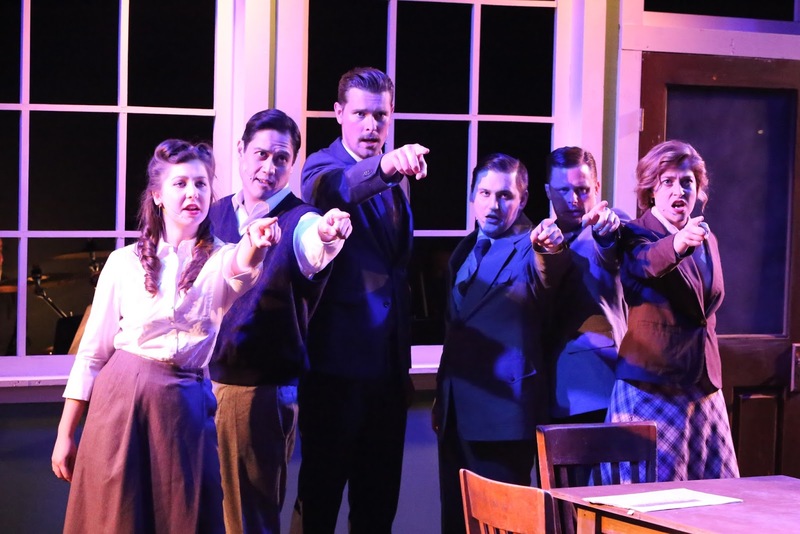 New Line’s production of Atomic is the show’s fourth, after its premiere in Australia (where both writers are from), a brief run off Broadway, big rewrites, and then a production in Michigan. I’ve realized as we’ve worked that this isn’t the kind of smartass, ironic story we usually tell, and I’ve had to be careful not to fall back on habits that better suit a different kind of show. There are moments of pretty dark irony here and there, but overall this is a very sincere, very earnest script, because these physicists take their work and the questions around it very seriously. And the stakes are astronomical. 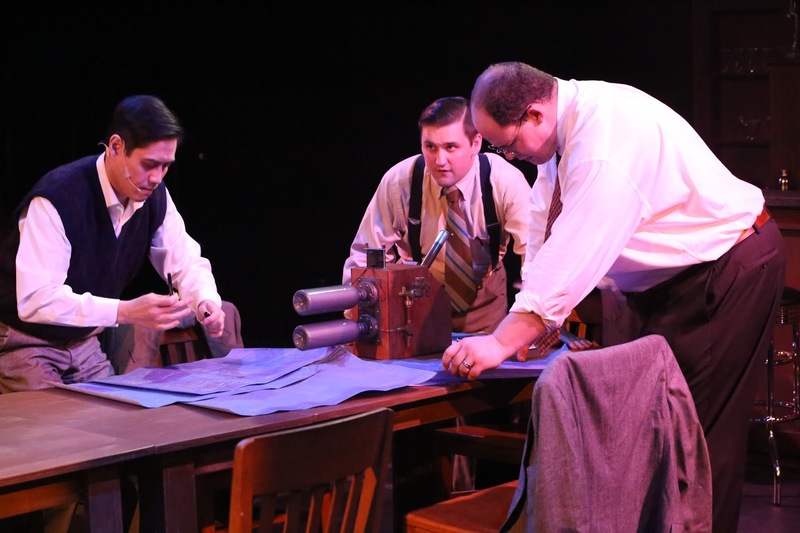 The reviews of the show off Broadway often said this was a musical about the Manhattan Project, but that’s not exactly true. 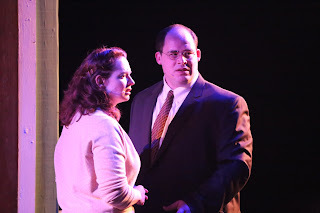 This show is about the morality and moral questions swimming around the making of the bomb. This is a morality tale, not a history lesson. This is a show about Dangerous Ideas. Pandora’s Box. Which is why it has to be a rock musical. This is a story about big emotions, big rebellion (in various forms), big questions, and big moral complexity. Rock is the language of rebellion, of danger and wildness. What other musical language could adequately portray these people, their emotions, their rage, and their fear? The energy and intensity of this story demand rock and roll. I’ve realized that Atomic is not a Hero Myth story, as so many of our shows are. This is a Frankenstein story. Leo and his fellow physicists create a monster, which they lose control of, and it rampages through the world killing people. The show’s writers have created a dual personality for this show, part Brecht, part contemporary drama. That duality is present in the story itself, in the battle between science and government/military, in the conflicted emotions of these characters, even in our own moral assessment of the atom bomb as we watch this story. Maybe the coolest thing about Rob Lippert’s set for this show is that our audience watches this gripping, morally complex drama, with the other half of the audience – with America – as backdrop. As with every show, my only job here has been to understand what Danny Ginges and Philip Foxman wrote, and then figure out how to make that as clear as possible to you, our audience. Not to impose a “vision” or anything on it, just to follow the script and score wherever they take us. This is good storytelling and we just had to trust it. We hope you find this story as powerful as we do.